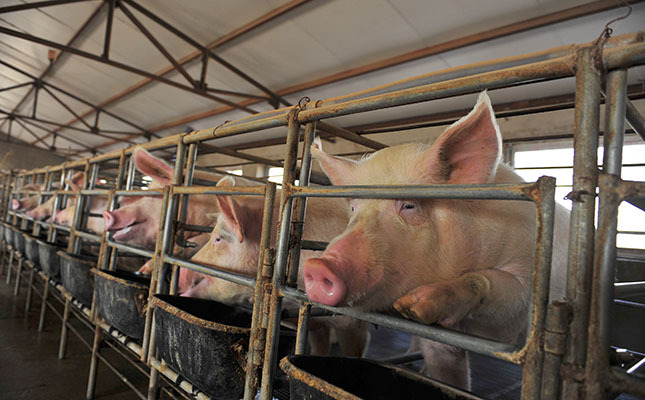 According to Rabobank report, the large expected decline in pig numbers in China due to the African swine fever epidemic could lead to repercussions across all global markets for animal protein. It is expected that between 150 million and 200 million pigs could be culled or die in the African swine fever (ASF) epidemic spreading through China, according to a report by Rabobank. This has been by far the highest forecast for fatalities expected from the outbreak to date, and underscores the gravity of the situation, as China is the world’s top pork producer, representing close to half the world’s pork output. At the end of last year, the Chinese national pig herd stood at an estimated 360 million animals. A 200 million decline would mean a 55,56% drop in China’s pork output in 2019, compared with last year, according to the report. “It’s unprecedented, and there are many dimensions to the situation that are still not fully understood,” said Justin Sherrard, Rabobank’s global strategist for animal protein. Chinese authorities had reportedly already culled just over one million pigs in an attempt to control the disease. More than 124 outbreaks had been reported since August last year, with the virus having reached every province except the southern island of Hainan. However, the country’s agriculture ministry reiterated that the situation remained under control. Pork production in China decreased from 54 million tons in 2018 to about 38 million tons this year, or a 20-year low, according to China’s National Bureau of Statistics. The Rabobank report reiterated that this decline would lead to repercussions across all global markets for animal protein. A decline of this size was nearly 30% larger than the total annual pork output of the US and was equivalent to Europe’s entire annual pork supply, the report said. “Rebuilding efforts will be further complicated by the risk of recontamination, despite available financial resources,” the report said.